It’s a busy week for dataminers as it was only this week when fans of Red Dead Redemption 2 delved into the app to reveal what appears to be a PC version. 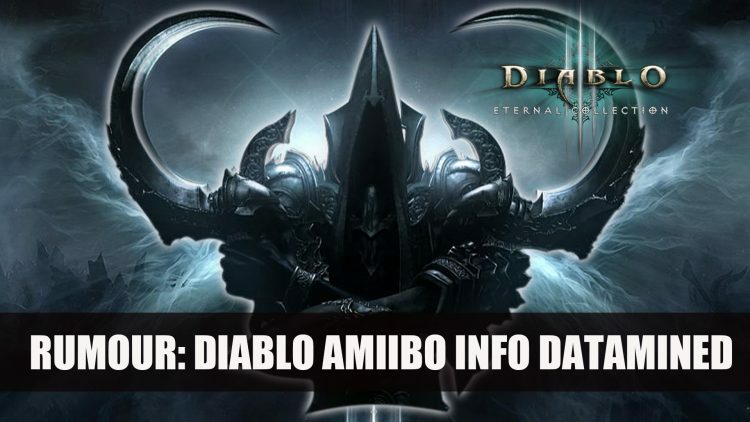 Today, a Reddit user by the name of JustMaku has also done some digging revealing a possible Diablo amiibo. Nintendo are ever increasing their collections of amiibo’s including the recent release of the Solaire of Astora for Dark Souls Remastered. These toys do more than just add to your collection of memorabilia, they allow in-game use when scanned which can be used across a range of games. What they do depends on the amiibo, they can drop rare loot or have other interactions in-game. But don’t think you can have an infinite amount of loot, they also have cooldowns, limiting how many times you can use them and when. There are three different types, the Default/Generic and Treasure Goblin amiibo’s can be used only every 22 hours, while a Demon amiibo can be used more frequently, every 45 minutes. If you don’t know what an amiibo is, it’s a delightful new creation from Nintendo that blends both toy and game alike. If plugged into right games, Amiibos can unlock new modes, characters and features. Whether or not this will be confirmed at Blizzcon 2018 which takes place this weekend is unknown, but with some Diablo focused events happening it could be apart of their news. Diablo III: Eternal Collection releases on the Nintendo Switch on November 2nd, the game is currently available to play on PC, Xbox One and PS4. If you want more Diablo news find here in Blizzard Dampens Likelihood Of A Diablo 4 Reveal At Blizzcon and Diablo III Gets Limited Edition Nintendo Switch Console Exclusively At Gamestop. For a rundown of the latest news read it here Top RPG News Of The Week: October 28th (Ashen, Hellpoint, Vampyr And More! ).